Madona Cole Lacy believes strongly in the significance of art and culture as a mechanism for bringing down barriers between people, assisting children and others in dealing with social and developmental issues, and fostering cultural appreciation and tolerance. Therefore, in 2002, she began to develop an Art-in-educational component as an outgrowth of Madona Cole Originals. 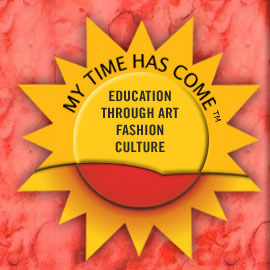 This second initiative, My Time Has Come™, offers this affirmation to all, and provides art, music, cultural and social enrichment programs which combine art, fashion and awareness of cultural diversity. Mrs. Cole-Lacy has since created a platform that shows the connection between all she is passionate about. Visit: https://www.IconnectTheDotsofCreativity.org for the platform that shows how Mrs. Cole-Lacy weaves together all that she is passionate about.